For the second Year Design Responsive is proud to partner with Brighton Music Conference (BMC). Design Responsive designed and powers the conference’s website. 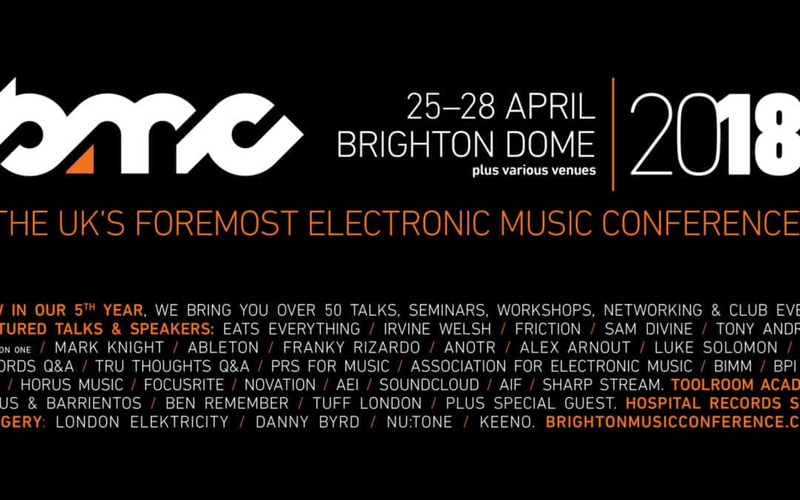 BMC is the UK’s foremost electronic music conference and returns for its 5th year to the Brighton Dome and various venues across the city from 25 – 28 April 2018. The organisers have announced a grand selection of parties and networking events taking place over the weekend (26th – 29th April) following the conference itself between 25th and 28th across various venues. BMC18 brings together leading delegates and speakers from The Electronic Music Industry at over 50 talks, seminars and workshops, alongside networking and club events throughout the conference’s duration. A specialised exhibition hall also features the scene’s best suppliers, technology companies, and service providers. Both Toolroom Records & Hospital Records will each host a day of production masterclasses led by some of their respective label’s best talent. Networking events & showcases will be taking place throughout the event as well as club nights hosting world class artists & DJs at the city’s finest venues including Eats Everything who will be headlining at The Arch.